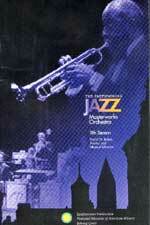 The Smithsonian Jazz Masterworks Orchestra Needs Your Support! To bring jazz to audiences around the world, the critically acclaimed Smithsonian Jazz Masterworks Orchestra has relied on the support of many organizations. We gratefully acknowledge the generosity of the U.S. Congress, the Recording Industries of America's Music Performance Trust Funds, Nissan USA, Stephen Speilberg's Righteous Persons Foundation, M&M Mars, Lila Wallace-Reader's Digest Fund and the Ella Fitzgerald Charitable Foundation.